Dear students and friends, my name is Silvia Alexiev and I am the owner and director of Salsa With Silvia, LLC. The company was established in 2010 but I have been dancing pretty much my entire life. I was born on October 15, 1977 in Sofia, Bulgaria; a small country in Eastern Europe. While non of my parents are dancers, I grew up very close to my grandmother who was a great singer and dancer. My grandma danced Bulgarian Folk dance but I was absolutely fascinated by Ballroom Dancing. I would be watching competitions on TV and dreamed of wearing one of those beautiful gowns or Latin dresses. When I was 6, my mom signed me up for Bulgarian Folk dancing, which wasn’t very popular for a young girl. I didn’t enjoy going to rehearsals and I couldn’t wait to be old enough to leave. After 4 years I signed up for a ballroom class. I still remember how excited I was going to class. I wasn’t a natural for sure but I worked hard for years and switched 3 ballroom dance schools before I got to compete. My family couldn’t afford to buy one of the fancy dresses I wanted but at least I got to do what I really wanted to. It took a while for my mom to approve of me going to practice late at night at such young age. She would say that dancing won’t take me anywhere and that I need to get a real job when I grow up. I never stopped dancing and it was dancing that got me through some real tough times in life like my parent’s divorce, me running away from home and working to pay my bills at 17, applying for college, coming to the US when I was 21, heartbreaks and more. I strongly believe that DANCING MAKES PEOPLE HAPPIER. I moved to the US on February 9, 1999 to work as an au pair in Washington, DC. Needless to say the first thing I did was to find where to go dancing. The first place I danced at socially was Glen Echo park. I made some really good friends there and they told me about Chevy Chase ballroom, which is where I took my first ballroom classes in the US. Three years of taking classes there and competing couldn’t shake off the feeling that the ballroom folks are not my type of crowd. I always felt like they would smile and tell you nice things but at the same time they wanted you to trip and fall during the competition so they can get a head of you. So, one day in the summer of 2004, a good friend of mine took me salsa dancing. I went there thinking that I am the I am already a dancer and I’ll pick it up fast. I quickly realized that wasn’t the case and the first thing I needed to do is loose my ballroom frame and shake those hips and shoulders. The SALSA DANCERS WERE SO NICE. I met some of my greatest friends salsa dancing. One of them you will see in my instructional DVD. Beto was the one who really got me into salsa and who introduced me to my first salsa performance team back in 2004. I met Beto the first time I went out salsa dancing. At the time Beto was a performer with a DC salsa group called Latin Motion. I auditioned for the team and started my first salsa performance gig. The following almost 3 years were a blast. We trained almost every day, we traveled to perform. We danced at some of the largest salsa congresses in the World, like LA, New York, Puerto Rico, and more. I LOVED IT. Then it was time for me to move on in personal aspect. I moved to Chicago to live with my then boyfriend (now husband). You can probably guess that the first thing I did in Chicago was to find where to go salsa dancing. So, I did. I had so much fun meeting new people and dancing. Chicago has one of the largest and greatest salsa scenes I’ve ever seen. WHAT I LOVE ABOUT SALSA DANCING IS THAT IT’S LIKE A COMMON LANGUAGE THAT MILLIONS OF PEOPLE SPEAK. YOU GET ON THE DANCE FLOOR AND YOU JUST LOOSE YOURSELF TO DANCE. NO MATTER WHERE YOU OR YOUR PARTNER ARE FROM YOU SPEAK SALSA AND THAT’S ALL THAT MATTERS. I got to travel and dance salsa in Bulgaria, Germany, and China, as well as many cities in the US. Anywhere I went we all spoke salsa so it was just A GREAT WAY TO MEET NEW PEOPLE AND MAKE NEW FRIENDS. Since I was working from home in Chicago, I had more time on my hands and I also was looking for things to do outside of the apartment so I went to a local gym and offered to teach a salsa class. I ESTABLISHED MY FIRST PERFORMANCE GROUP IN CHICAGO. 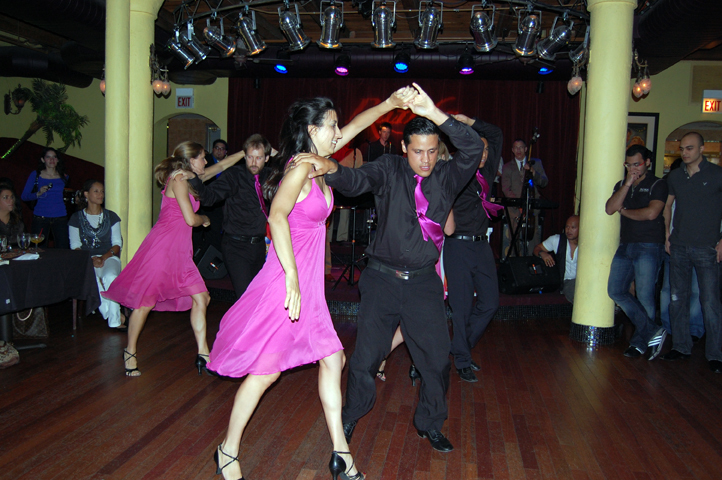 I taught my first salsa class early 2008 and I realized I had a ton to learn about teaching. So, I started teaching more and more. Soon, I started teaching at the Dance Academy of Salsa where the owner Miguel gave me a great kick start as an instructor and business owner. The students on my performance team started with me from zero, I trained them and we started performing at local venues in Chicago. We even threw a show at my own wedding, which was really cool and the guests enjoyed it a lot. While in Chicago, I also started my Trick of The Week Salsa Instructional video channel on YouTube. Much to my surprise the channel gained thousands of subscribers. I get tons of comments from fans that are learning how to dance from my videos. I am so grateful to know that I have virtual students in fans all over the World. I WORKED AS A FULL TIME TV PRODUCER FOR NASA TV FOR 10 YEARS BUT I GAVE IT UP TO FOCUS ON MY DREAM TO OPEN THE FIRST OF ITS KIND LATIN DANCE STUDIO IN DC! In 2009 I decided I’ve had enough of Chicago’s freezing cold, so I dragged my husband back to Washington, DC, which is where I still had my full time job as a TV Producer at NASA TV. Yes, I had a full time job up until September of 2014, when I decided to pursue my dream of opening a big state-of-the-art Latin Dance Studio in DC. In my first years of being in the US I finished my undergraduate degree at University of MD University College and then went on to get my graduate degree in Film & Video, which is what landed me at NASA. Loved my job but DANCING WAS STILL THE LOVE OF MY LIFE. By the time I got back to DC I had grown fond of teaching people how to dance salsa so I looked for dance studios where I could teach. The beginning was rough. I had only two students in my first class at the DC Dance Collective studio on Wisconsin Ave. These two students were sent by a friend. Slowly but surely by word of mouth and because I was working hard on my online presence, my classes grew more and more. I taught at DCDC and BTI for a few years and established a pretty solid network of students and supporters. A group of my very regular and talented students started talking me into forming a performance group. After much thinking I decided to give it a shot and start the DC version of Amika Dance Company (the company I originally started in Chicago). Some of these students later became instructors at my studio. They are the core of the business and our growing network of students absolutely love them. MY DREAM CAME TRUE AND WHEN I HAD MY VERY OWN AND FIRST DANCE STUDIO. Soon, I started dreaming of having my very own dance studio. In 2011 my husband and I were looking for a house. When we walked into the basement of one of the houses that we found on the first day of our search, my husband said: “There is your studio.” All I saw was a pretty dingy and dark basement that someone once used to live in. My very supportive husband, Kiril, saw the potential in the property, we bought it and started renovating. 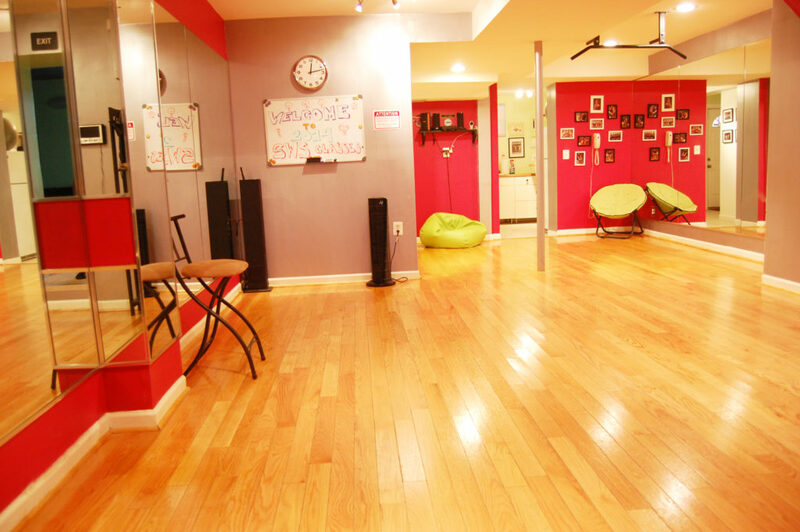 The basement dance studio was one of the first rooms we started working on. After months of hard work, I had a very decent space to work with, brand new wood floors, professionally installed mirrors, state-of-the-art sound system, completely renovated bathroom and kitchen space. Special thanks to Kiril and my awesome dad who came from Bulgaria to help with renovations! Classes at my first studio in the basement of our house started the summer of 2011. My precious angel and first daughter Nia Sofia was born in the summer of 2012. I continued teaching throughout the entire pregnancy, mainly training my performance team and leaving the rest of the classes to my instructors. My team of instructors continued to grow as we offered more and more classes. 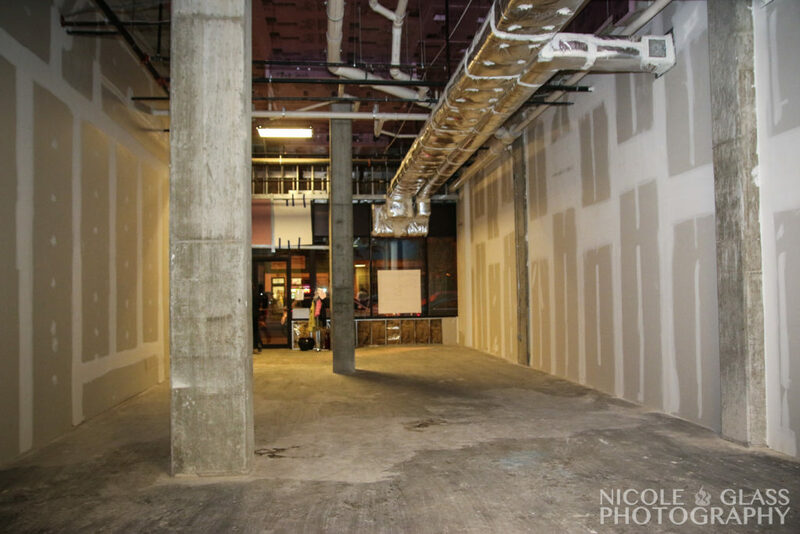 In the summer of 2013 a new renovation opened up direct access to the studio from the street and allowed for a new waiting area in the front, which freed up more space for dancing and mirrors. With a quickly expanding network of students, it was becoming hard to fit everyone in the basement studio. I was on a mission to raise money and move to a new, bigger space. In September of 2014, we launched a large crowdfunding campaign and successfully raised over $17,000. After a long journey of over a year and tons of help from my husband we found and secured the new location and the financing of its build out. In November of 2014, I signed a 7-year lease for Salsa With Silvia’s new home, located at 3232 Georgia Ave NW, Suite 104, Washington, DC 20010. Salsa With Silvia was awarded a grant in the amount of $85,000 by the Great Streets Program to go towards the build out of its new studio. The total cost of the new studio build out was $325,000. 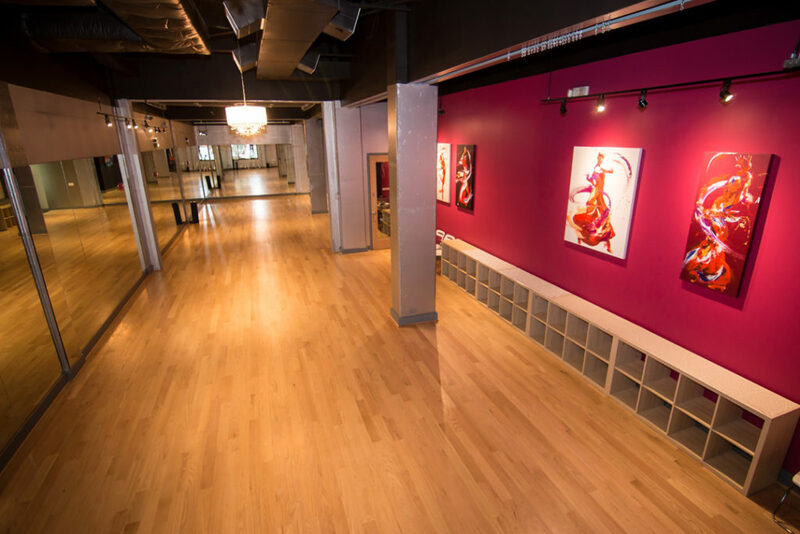 The new studio opened doors in April of 2016 and officially became the Largest Latin Dance Studio in the DC area. The new studio offers new adult classes and programs as well as kids after school dance classes, summer dance camp, discount classes for veterans and people with disabilities, kids and adult performance classes, social dances, and more. 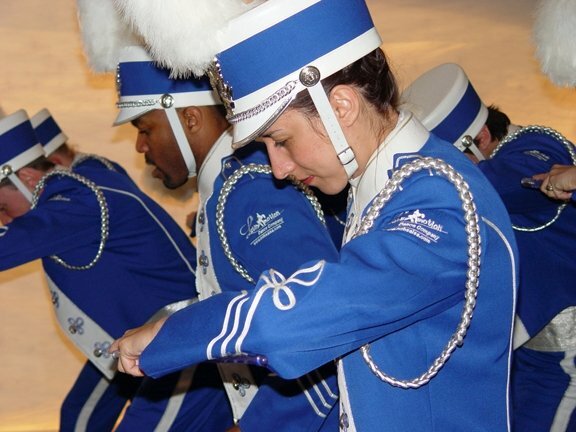 Our mission is to help the community by teaching people of all ages how to dance. Not long before we opened the new studio, in the midst of overseeing the build out project, working with contractors, selecting and designing the finishes, I gave birth to my second gorgeous little girl Gabriela Marie Alexiev. She was born on January 18th, 2016. I AM GRATEFUL FOR HAVING THE BEST HUSBAND, TWO BEAUTIFUL DAUGHTERS, FANTASTIC TEAM OF STAFF AND INSTRUCTORS, A BEAUTIFUL STUDIO AND SUPPORTIVE STUDENTS! To all of our students, I’D LIKE TO THANK YOU FOR YOUR CONTINUOUS SUPPORT AND FOR COMING BACK TO OUR CLASSES AGAIN AND AGAIN! We couldn’t do this without you! Salsa With Silvia owner (on the right) in her early Ballroom dance years in Bulgaria. Salsa With Silvia Owner Silvia Alexiev in her first salsa performance at the Women In Salsa Event in 2014. Salsa With Silvia Owner Silvia Alexiev performing with the Latin Motion dance team at the LA Salsa Congress in 2005. Salsa With Silvia owner Silvia Alexiev performs with her first very own performance team that she directed. Chicago 2008. 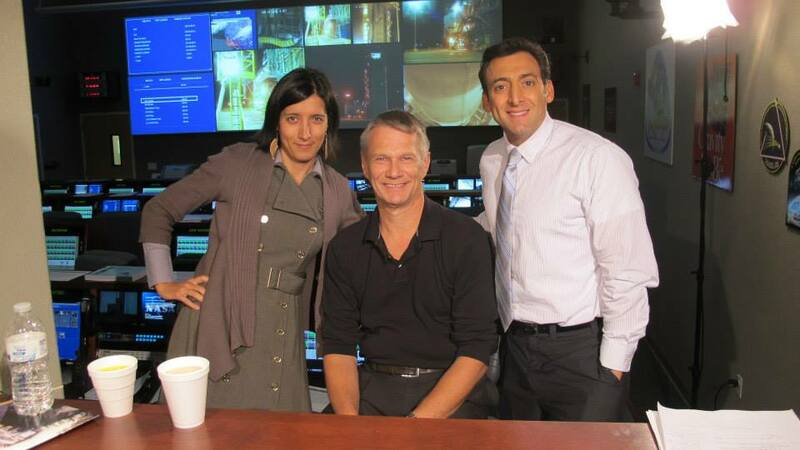 In the video above: Silvia during her career as a NASA TV producer. Salsa With Silvia owner Silvia Alexiev teaching a salsa class at the DC Dance Collective Dance Studio in 2010. Salsa With Silvia Owner (middle with her daughter Nia) and her performance team Amika Studio. Currently the team is under the direction of instructor Kelly Atwood (3rd from left to right). The first and original Salsa With Silvia dance studio in the basement of owner Silvia's house opened in 2011. 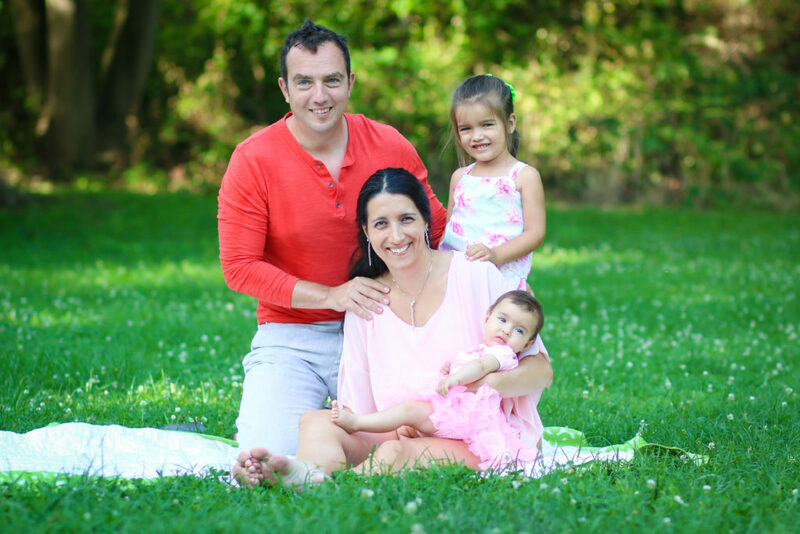 Salsa With Silvia owner Silvia Alexiev with her family in a photoshoot from 2016. Photo credit: Nicole Glass. Salsa With Silvia owner Silvia Alexiev signing a lease for her first commercial space in 2015. The 3232 Georgia Ave. NW location became the largest Latin Dance Studio in the DMV when it opened in 2016. The above video shows Silvia’s story and how she worked hard to open her first commercial studio in DC.